Make yourself at home in one of the 25 guestrooms, featuring kitchens with full-sized refrigerators/freezers and microwaves. Rooms have private balconies. Flat-screen televisions with digital programming provide entertainment, while complimentary wireless Internet access keeps you connected. Conveniences include phones, as well as safes and coffee/tea makers. 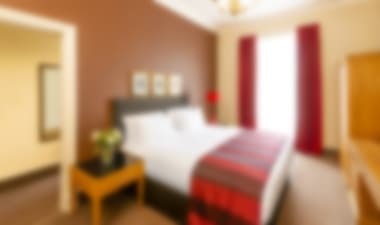 This modern 4-star hotel, in the centre of Glasgow, is next to Glasgow Queen Street station. While the O2 Glasgow and the shops of Buchanan Street are only a short walk away. The restaurant serves lunch and dinner, as well as an afternoon tea service; and you can enjoy a quiet drink in the bar. Classic en-suite rooms come with free wi-fi, satellite TV, complimentary toiletries and tea and coffee making facilities. 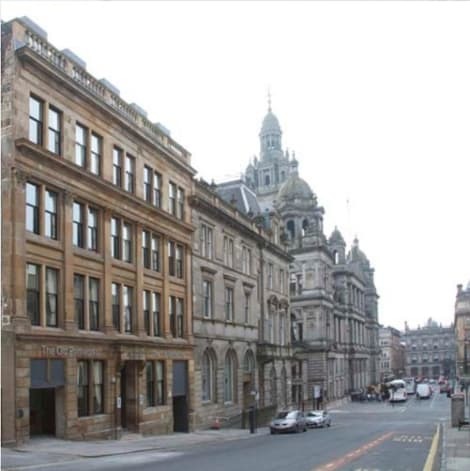 In the heart of the city, the Millennium Hotel Glasgow is only a short walk from The Corinthian, Buchanan Street and Glasgow Queen Street station. The hotel offers a 24-hour concierge, a Brasserie serving traditional Scottish cuisine and you can relax with a drink in lounge bar. Meanwhile, its smart rooms come with Hypnos beds, flat-screen TVs, free wi-fi, tea and coffee making facilities, and en-suite bathrooms. NOTE: Due to the hotel's central location there is no drop-off zone. Care should be taken to comply with parking regulations and occasional road closures during events. Contact hotel ahead of arrival if in doubt. 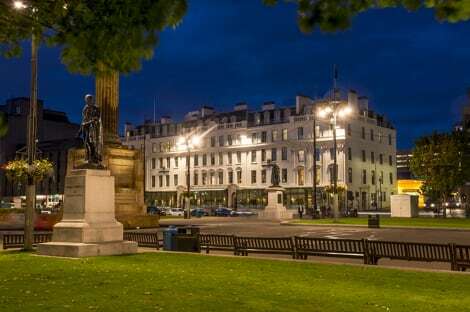 Enjoy a meal with family, friends, colleagues or business associates, with views of Glasgow's historic George Square. The Brasserie, on George Square, offers lunch, dinner and afternoon tea. The wine list and dessert menus offer something for everyone and will satisfy all budgets. The knowledgeable staff will gladly make recommendations. A comfortable area on the ground floor, the lounge is ideal for a quiet drink anytime of the day. This fantastic meeting point located directly beside Queen Street Station offers coffees served with shortbread and as well as a fantastic selection of cocktails and champagne. Why not sit in the beautiful conservatory overlooking George Square and watch the world go by with one of the cocktails or a glass of champagne? Queen Street Train Station is currently undergoing an exciting re-development and construction work is being carried out on nearby buildings. We are working hard to minimize disruption to our guests. The George Square entrance/exit for the station is closed, please use North Hanover Street or Dundas Street. With a stay at Destiny Scotland - Glassford Residence in Glasgow (City Centre Glasgow), you'll be steps from Merchant City and 6 minutes by foot from George Square. 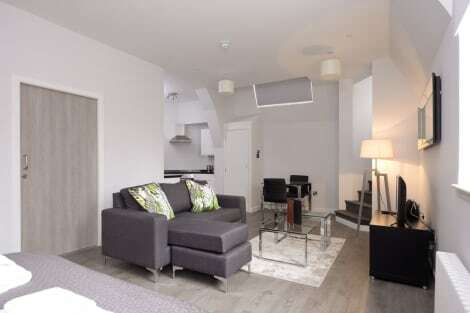 This 4-star apartment is 0.4 mi (0.6 km) from Buchanan Street and 0.6 mi (0.9 km) from Sauchiehall Street.